Basic Income Waterloo Region is a group of everyday people who are passionate about revolutionizing Canada’s social safety net. We are committed to seeing a basic income implemented to solve the socioeconomic problems affecting communities across Canada. We’re not aligned with any political party, because support for basic income extends across Canada’s political spectrum. We promote research, base our arguments on evidence and collaborate with partners throughout Waterloo Region to make basic income Canada’s next great social program. Basic Income Waterloo Region advocates for a universal demogrant where every resident receives the same amount of money rather than the negative income tax or top up model. We prefer the universal demogrant model because it would be the best approach to remove the stigma associated with receiving financial assistance. Furthermore, a universal basic income could be administered through the income tax system and would be less expensive to administer than a means-tested basic income. 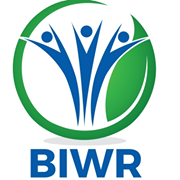 Basic Income Waterloo Region recognizes that a basic income policy will not solve all problems with our current social assistance system. It is not a panacea. labour legislation and unions etc. in addition, minimum wage legislation would continue to be needed as well as regulation to ensure safe workplaces. programs that provide for dental care and prescription drugs at low cost or no cost would also continue to be necessary.